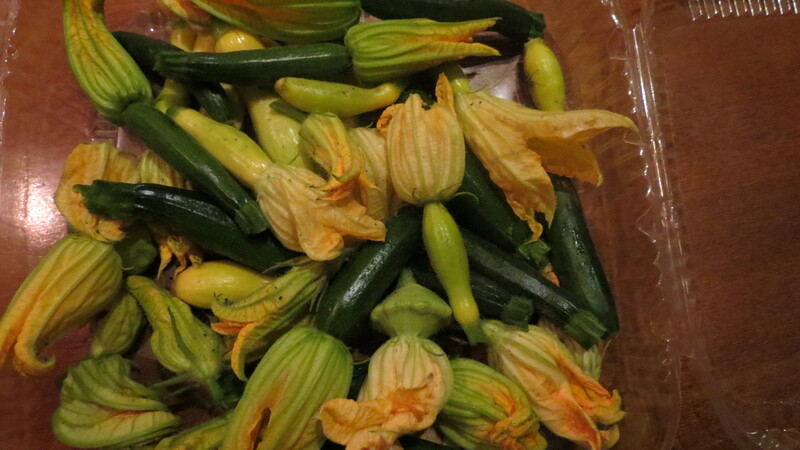 I do believe we will be the first in the area with summer squash, and I’m really excited about it! I remember Mother’s Day this year covering our tender plants to protect them from frost. We still lost a few, but have since replanted those, and the ones that made it are ready to go. We also have a couple of other things growing up and ready for their trip to your table too. We also have some beets coming to you, and I have a recipe for you to try using the beet tops too, so don’t throw them out, they are good and good for you. 4-6 medium beets, scrubbed clean, then covered with water and boiled on a stovetop or zapped in a microwave until a fork stuck in the middle slides in effortlessly. (I don’t skin my beets). Slice the beets thinly and cut each slice into quarters, then eighths.